Design is not just about outward appearances. Design is a combination of aesthetics, functionality and choice of materials. And good design produces beautiful products which are a joy to use and own. 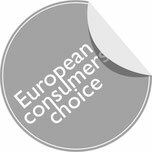 Eva Solo works with designers who excel within their respective fields, and over the years our products have won more than 150 Danish and international design awards. Good design is simply at the heart of everything we do. 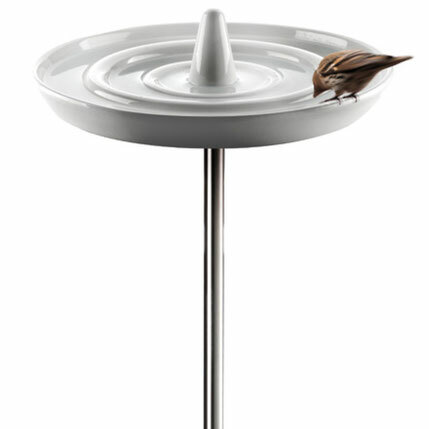 The elegant Eva Solo birdbath is designed for the bird that has everything – and makes bathing an even more pleasurable experience for the birds. The luxury birdbath is shaped like a drop falling in water, and is made of white-glazed porcelain. Each ring in the water forms its own level, which ensures that the little creatures can avoid getting completely soaked when dipping their beaks – regardless of size. Gives birds room to both drink and bathe! Frost-proof, white-glazed ceramic plate that is easy to remove from the rod for cleaning and refilling. 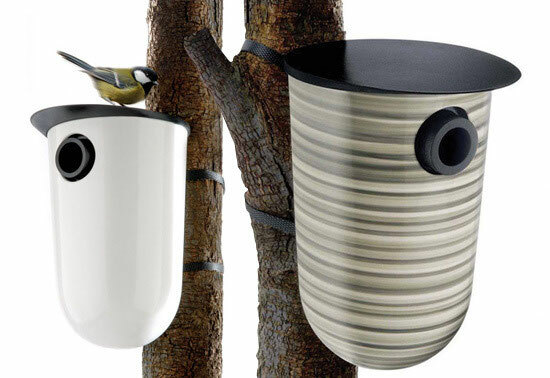 The Eva Solo nesting box is made of white-glazed ceramic and black plastic. The nesting box can be fitted using nails or the accompanying fixture. The entrance to the nesting box has been designed to take four different-sized entrance holes depending on which bird species you want to attract. A special lock mechanism and smooth surfaces prevent cats and other predators from attacking the young chicks. 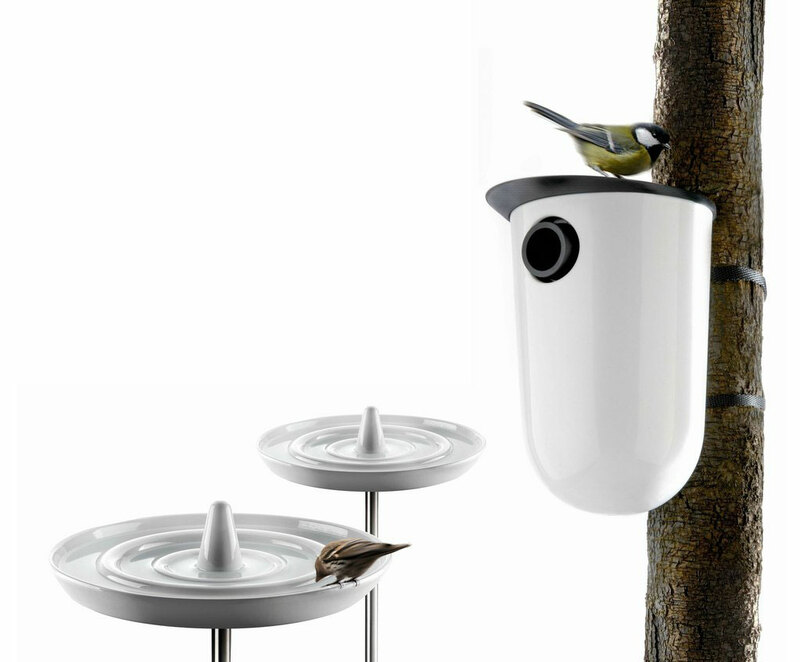 The simple yet stylish Eva Solo nesting box represents a marriage of design and functionality – a smart feature in any garden. The nesting box is available in a striped version and in white. "It is extremely stylish and very affordable. Actually it is more than fancy, it's elegant, refined and makes a real statement in a lovely garden." "The little bird bath is so cute! It’s really the type of object that makes a difference in a garden, beautiful and poetic." "The nest is very well thought out, with straps which can adjust to any particular tree and allow it to breathe by loosening the box as the tree grows." "If I were a bird, I would fight to make it my permanent residence!" "The nest is safe and suitable for all birds, just decide on the size of the opening depending on the kind of birds you want to see moving in. Nothing spared for comfort." "These products were definitely designed by a bird lover - such sweetness, so utterly charming…"